Are you wondering what your home is worth? In addition, do you wonder...what do you have to do to prepare for the sale? We would be happy to stop by and provide you with a Free Market Analysis and some advice on staging your home for sale... no obligation, of course. Finding the right home can be a difficult process but our personal guidance and experience provides you with a valuable resource, which will help you make your home buying experience successful. Are you interested in market area details? Please take a minute and browse the local neighborhood and school details along with mortgage information plus many more features. 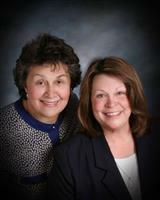 We are here to assist you and your family or friends with all your real estate needs. Whether you are thinking about selling your current home and/or looking to buy your new home, we have the proven track record and expertise to make your sale or purchase a success! 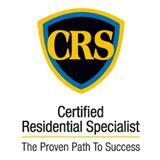 We are experts in the real estate market and will guide you through the entire process. Our enthusiasm, knowledge and personal concern for our clients, makes us a proven choice. We are experts in the real estate with over 20 years of experience and over 1,000 homes sold, serving Wayne, Oakland and Livingston Counties. We will personally guide you through the entire process, whether it is selling your current home or buying your new one. We will work closely with you to negotiate the best possible price and result for you and your family. As we say, "Customer Satisfaction is our Family Tradition."